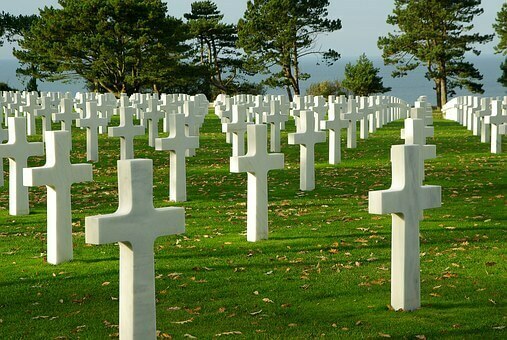 This tour is perfect for people who have an interest in history, particularly World War II. Code-named ‘Operation Overlord’, the D-Day landings were the largest seaborne invasion in history. Early morning on 6 June 1944, swarms of landing craft hit the beaches of northern Normandy and tens of thousands of Allied soldiers began pouring onto French soil. The majority of the 135,000 Allied troops who arrived in France that day stormed ashore along 80km of beaches north of Bayeux code-named Utah, Omaha, Gold, Juno and Sword. The landings on D-Day – also known as ‘Jour J’ in French – were followed by the 76-day Battle of Normandy. Today there are many memorials at the beaches and along the Normandy coast. German bunkers, gun batteries and more proof that the intense fighting took place. We can now enjoy these beautiful beaches for the peace they offer us today, but the events that took place at these historic sites offer something different. Go for a walk along these historic beaches and imagine the events that took place here on D-Day. Several companies in Normandy offer tours of the beaches. Also visit the cemeteries, very sobering when you see the rows and rows of unmarked graves. While in this same part of France we would also suggest you visit the Bayeaux tapestry. The tapestry is a band of linen 70 metres long, on which are embroidered more than 70 scenes showing the Norman Conquest. The story begins with a prelude to Harold’s visit to Bosham on his way to Normandy in 1064 and ends with the flight of Harold’s English forces from Hastings, 1066. 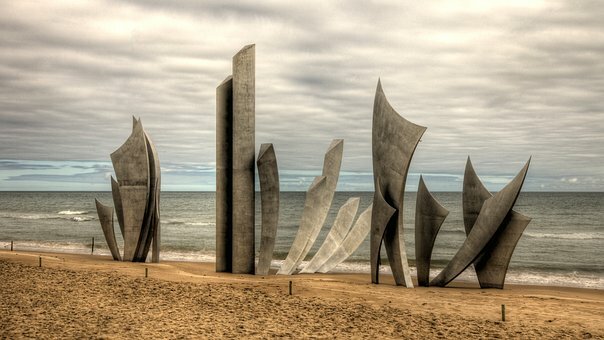 What’s included in your motorhome holiday to the D day beaches in Normandy?